We’ve enhanced our quick pay experience to better serve our Nevada General Insurance Company customers. You will now be redirected to the Nevada General website. We’ve enhanced our policy management experience to better serve our Nevada General Insurance Company customers. If you have not already registered on the Nevada General Insurance Company website, click the Register button. Your old username and password will not work on the Nevada General Insurance Company website. You can appreciate our gold star customer service and support in store, by phone, on the web, or any way you like it. We can specialize your watercraft insurance. Get a policy that covers your home, property and assets. Renters and Home Owners alike. When you have an Auto Insurance America RV Policy, you receive not only coverage, but claims service and help from our RV insurance team. Customize your motorcycle insurance to insure that it fits your needs. Auto Insurance America for over 40 years has been providing common sense, economical solutions for insurance to the Southwest Region. As one of the nation’s largest independent insurance agencies, Auto Insurance America has provided tens of thousands of motorists in Nevada, and New Mexico auto insurance at the most critical time in their lives. 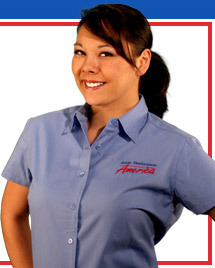 When you need a little help, a little flexibility, and a lot of care, Auto Insurance America is there. Burglary insurance, theft insurance, temporary living expense insurance and personal liability insurance are all included in a renters insurance policy. Enjoy your recreation time knowing you are protected by our reliable and affordable coverage options. Check out the reaction to our insurance rates. ©2016 Auto Insurance America Corporation. All Rights Reserved.